Many Oromos fleeing the violent government crackdown in Ethiopia, are protesting the systematic denial of asylum they are facing in Egypt. The protestors state the UN Refugee agency (UNHCR) has been hostile to their allegations of discrimination, persecution and torture at the hands of the Ethiopian government. UNHCR claims that these criticisms are unfounded and that some claims are only taking longer to be processed. 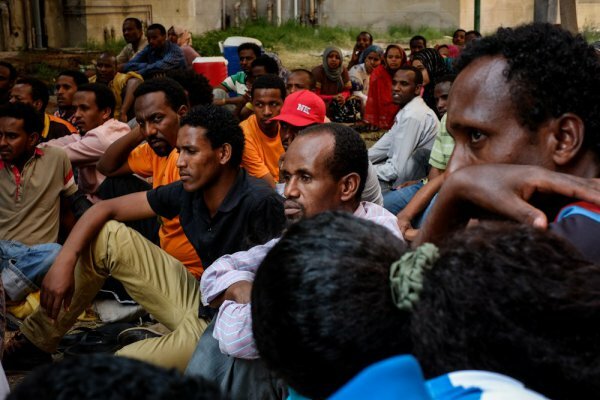 Nonetheless, due to increasing rejections for asylum for Oromos in Egypt, a growing number of them are pushed to take the perilous journey across the Mediterranean, to effectively escape the gross human rights violations taking place in Ethiopia. Nearly half of the Ethiopians that drowned in a sinking boat in the Mediterranean on 9 April 2016 were of Oromo ethnicity. The UNPO calls on the relevant authorities not to give credit to the Ethiopian government’s reassurances and for these asylum claims to be taken seriously, in Egypt and elsewhere. In Egypt, the United Nations High Commissioner for Refugees (UNHCR) has been the target of bitter criticism and even violent protest this year. Protests at the agency's Cairo headquarters - including one man setting himself on fire - have been led by Oromos, the single biggest ethnic group in Ethiopia. The Oromos say the UNHCR - which by agreement with the Egyptian government has responsibility for determining asylum applications in Egypt - has routinely rejected their asylum claims. The Oromos claim the UN agency has been hostile to their allegations of discrimination, persecution and even torture by the government of Ethiopia. Protests and a government crackdown in Ethiopia have left 140 (the government estimate) or 314 (Human Rights Watch) dead since July and pushed thousands of people to flee the country. UNHCR said the criticism is unfounded. It conceded there had been delays to processing applications but said those were caused by a shortage of resources. It was "absolutely not true to say we reject everyone," said Tariq Argaz, a UNHCR spokesman. Nevertheless, an increasing number of Oromos in Cairo have tried to get to Europe this year. Almost half of the estimated 150 Ethiopians who drowned in a sinking on April 9 joined the voyage straight from the UNHCR protest, according to relatives and survivors, who said the UN agency effectively pushed them to risk the dangerous journey across the Mediterranean. "We have come to feel in Cairo, it is Europe or death!" said Arafat Abdulrahman, an Oromo who lost several friends in the April disaster. He set off for Italy himself and arrived safely in July. Muaz Mahmud, the Oromo migrant who lost his wife Duniya and their two-month-old baby in the shipwreck, is furious with the UN. "If our case had been taken seriously we would have waited for the UN to make a decision," he said. "We wouldn't have dared to leave. But we lost hope." Mahmud, 25, said he fled Ethiopia after being arrested for protesting. He said police had tortured him with electric shocks. "'You don't have the right to speak,'" he said they told him. "'If you want to be silent and live silently, you go ahead and live silently.'" Mohammed Seid, public relations director of Ethiopia's Office for Government Communications Affairs, said no law-abiding citizens had reason to fear the government. "Ethiopia is governed by rules," he said. "Opposition activity that is not criminal in nature, or does not involve violence, is not illegal in Ethiopia." Seid said that Oromos who make it to Europe or the United States often lie to win asylum. "In their bid to find shelter, or be handed green cards, residency status or have their asylum bids accepted, any pretext is claimed," he said. "But the main reason is economic ... Traffickers lure them through false promises of easy wealth." In late April, UNHCR in Cairo agreed to work with Oromo groups to resolve the growing dispute there. But 40 or so refugees remained camped outside the agency's office. In July, Getu Ayana, 26, doused himself with petrol and lit a match. Another migrant, Asli Nure, tried to put out the flames. Her clothes caught alight, and both died. According to other Oromos, the self-immolation was in protest at the high number of rejected asylum claims. Argaz, the UNHCR spokesman, said staff helped get the two medical attention. He said every refugee application is treated on its merits and processed in a transparent and fair way. Abdo Mohamed, chairman of the Oromo Sons Refugee Association in Cairo, said frustrations remains. "The UNHCR have promised to work on this issue but they are still rejecting people," he said.